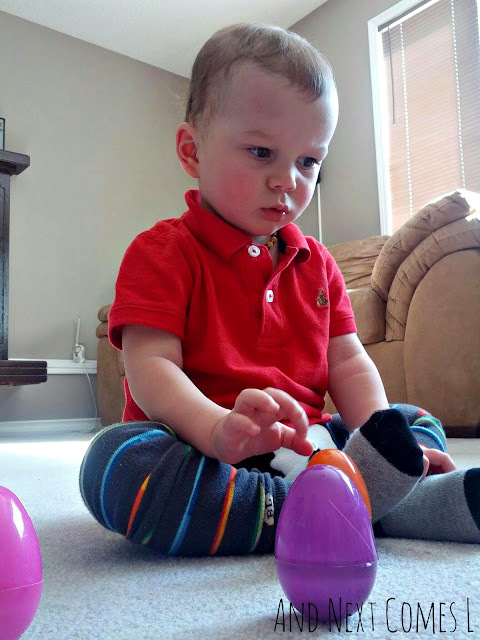 My kids love playing with plastic Easter eggs, but not nearly as much as they loved playing with these DIY wobbly Easter eggs. They bobble around, but never fall down, so the kids think they're perfectly magical! 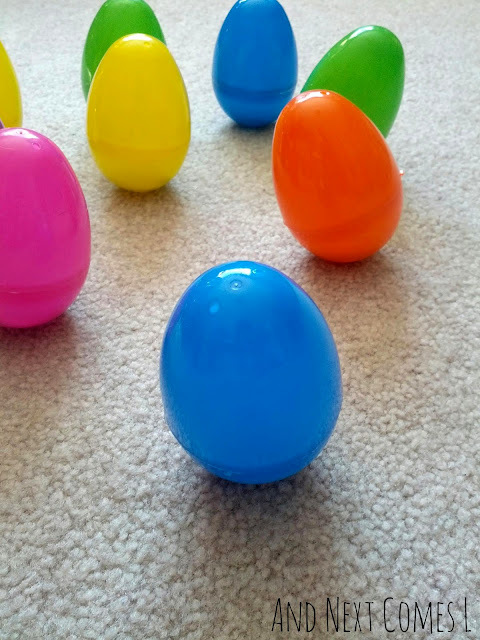 These wobbly Easter eggs are simple to make and can be used for a variety of Easter activities. 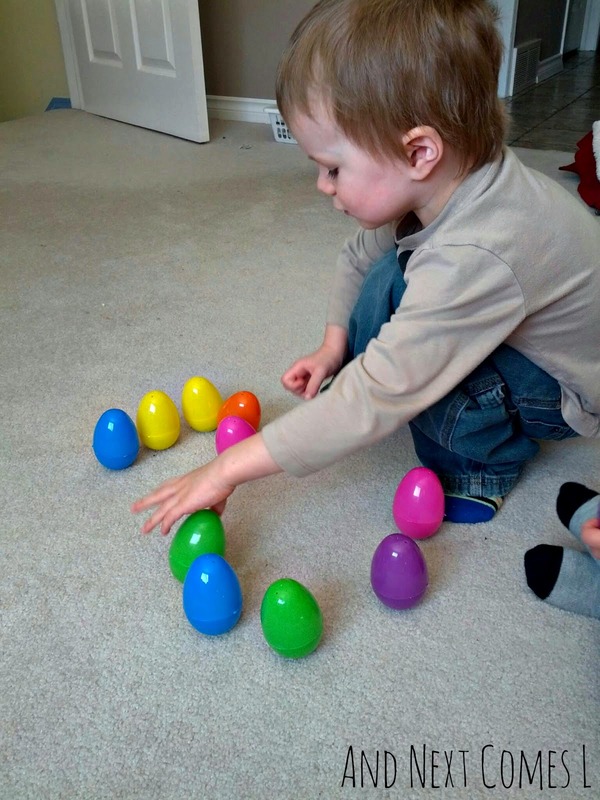 I share 8 fun ways to play with wobbly Easter eggs below. 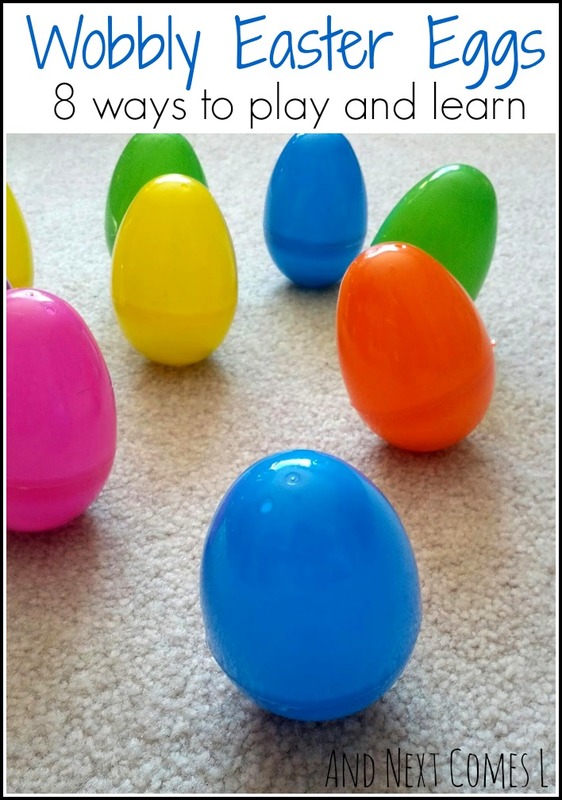 Large plastic eggs - I used 12. Glass beads, dried beans, rocks, or whatever else you have on hand that is similar. - They will be your weights. Open up the eggs, put some hot glue in the base, add your weights, and layer glue as needed. Seal the eggs with more hot glue. The eggs should now stand up and wobble when touched. I laid out all of the eggs on the floor for the boys to discover. K examined them carefully and tried to open them, which he couldn't. Then he started to get frustrated because he couldn't open them. So I showed him that with just a simple touch, the eggs would wobble. Well, that made him giggle. He then continued to explore them. J then came over and instantly started to form numbers (I now know that this was J's hyperlexia and hypernumeracy in action). And that was just the start of the fun! Omg you are so creative, awesome ideas Mama D!! 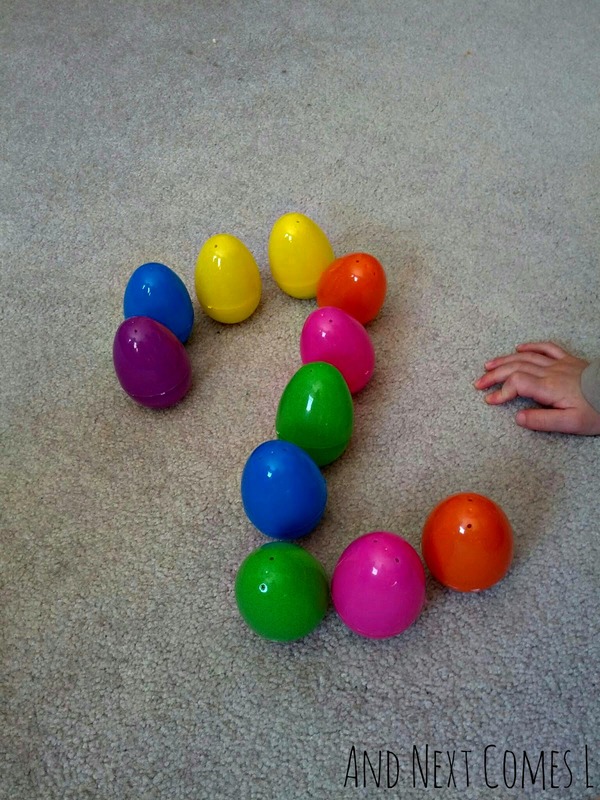 I have a two year old who would love a bunch of wobbly eggs. Thanks for such a creative idea, I'm pinning it! Thanks! Hope your two year old loves them as much as my boys do! Thanks for featuring me, Deborah! No problem. Thanks for the inspiration! These are amazing! I love how you have all of the activities listed for the wobbly Easter eggs! Thanks :) The wobbly eggs are still one of my most popular posts. Who can resist?! They are fun!